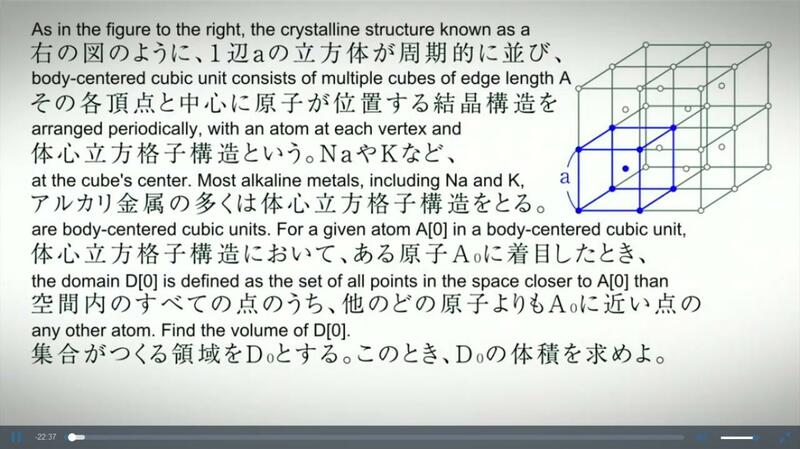 Having a cube, with a point at its center. What are the points that are equidistant from the center point to the cubes vertices? Having a cube, with a point at its center. What shape do the points wich are equidistant between the center and the cubes vertices make? What shape is resultant from this composition of equidistant points? 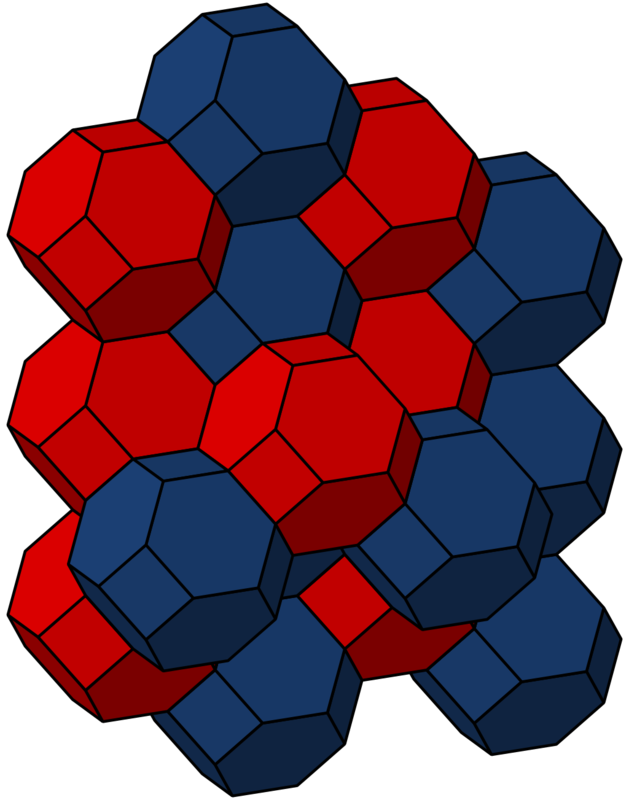 The answer to the question from screenshot is a truncated octahedron. If you consider center of the cube and a vertex, the locus of equidistant points is a perpendicular bisector plane. 8 of those planes create an octahedron. However, if you consider centers of other cubes, locus of equidistant points with them will give the initial cube itself. 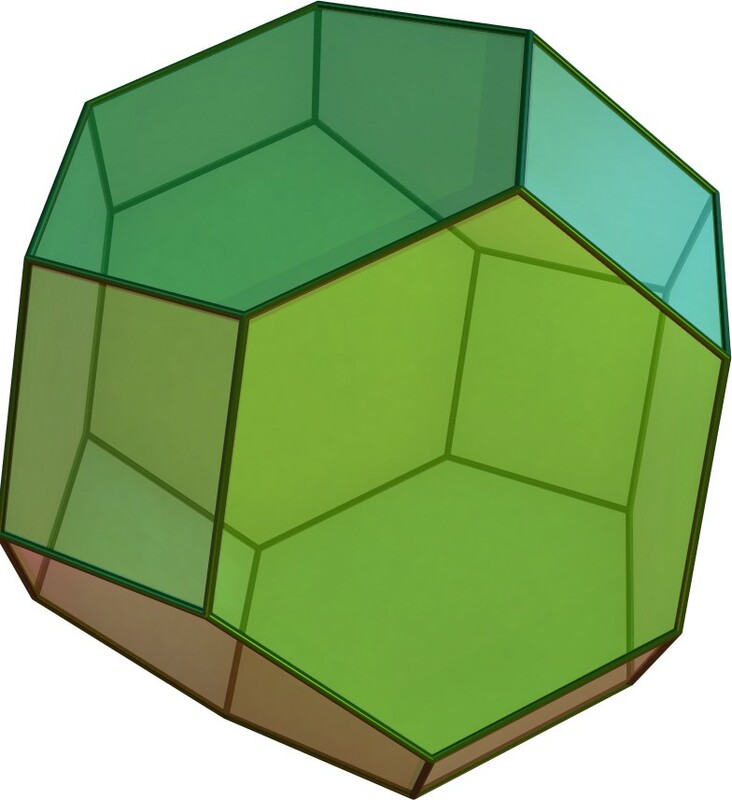 So the answer is the intersection of cube and octahedron, which is a truncated octahedron. Just to add some further notions to the already given answers: Those describe the Voronoi domain resp. Voronoi complex of the body centered cubical (bcc) lattice. - Within crystallography the Voronoi domain also is called Brillouin zone. Is it possible to draw a regular pentagon on a regular 3D grid by only connecting the intersection points? What is the smallest n-gon such that there can be an interior point further from all boundary points than the points are from each of their neighbors?